How to rent a room? 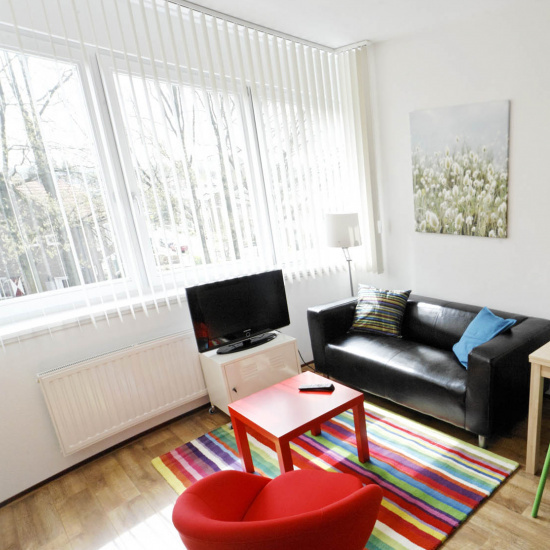 Woonpunt is the largest provider of student rooms and studios in South Limburg. We house a total of approximately 1,500 students, mainly in Maastricht and Sittard-Geleen. In Maastricht the allocation of student accommodation is done by Maastricht Housing. In that case you also accept the room/studio through Maastricht Housing. But we also rent rooms, studios and various other types of accommodation through this website. Take a look at our available rooms at Maastricht Housing. Woonpunt for students can also be found on Facebook. Like us and we will keep you informed about all kinds of useful and practical matters, the latest news and fun competitions. Klik hier om terug te gaan naar het volledige aanbod. Largest provider of student rooms and studios.